St Bernard's Hospice offers compassionate palliative care to the East London Community through specialised physical, social, emotional and spiritual care in an environment of trust, dignity and respect for all . . .
St Bernard’s Hospice offers compassionate palliative care to the East London Community through specialised physical, social, emotional and spiritual care in an environment of trust, dignity and respect for all. 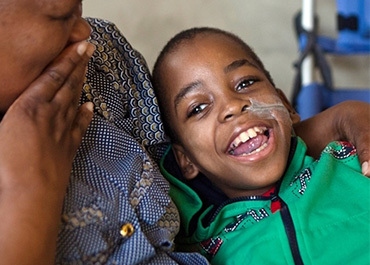 We care for the East London Community by providing Home Based Palliative Care and Support for adults and children diagnosed with life threatening or life limiting illnesses such as Cancer, Motor Neuron Disease, Parkinson’s Disease, Drug Resistant Tuberculosis, Susceptible Tuberculosis, HIV and AIDS. Our vision is to affirm life through compassionate palliative care. We are committed to serving the whole East London community by providing quality palliative care & support though compassionate medically directed physical, social, emotional and spiritual care in an environment of trust, dignity and respect for all. We consistently strive to improve the quality of life for those diagnosed with a life limiting and life threatening illness; offering care, support and counselling for patients, children and families, extending into the bereavement period. We maintain the highest standards of palliative care through on-going staff support, capacity building, education and training, as well as skills development. We come to you. Illness does not discriminate and neither do we. Our services are not restricted by race or social class, religion or gender . . .